Andy has gone two years without reaching a Slam final four. 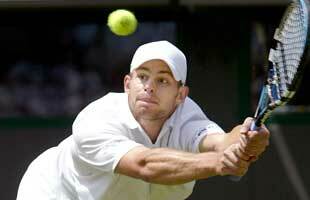 If he can get fully healthy again, Andy Roddick has to be given at least an outside shot of winning Wimbledon in 2012 and 2013, but given that his body has begin to break down, it would be foolhardy to say that he would have a reasonable shot at the title at the age of 31, which is what he will be in 2013. His 7-6, 7-6, 6-4 loss to Feliciano Lopez was without a doubt disappointing, maybe not so much to him because the dangerous Spaniard did play about as well as he’s capable of, but to his fan base, because most of his savvy supporters realize that outside of the Big W and the US Open – the tour’s fastest Slams – that his chances of going deep at the Aussie Open, which is slower, have seriously diminished, unless he gets a triple fudge cake draw. And we all know that Roland Garros is a wash for him.